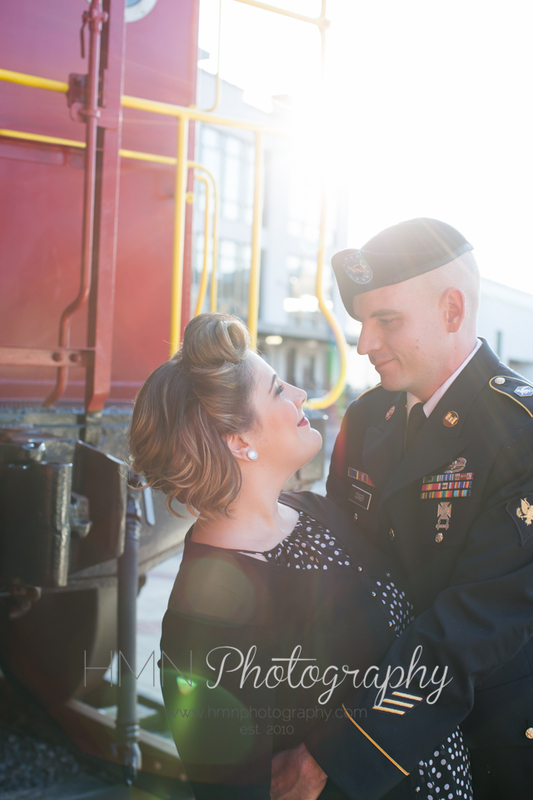 This couple was so fun to work with, they celebrated their 1 year wedding anniversary this summer. 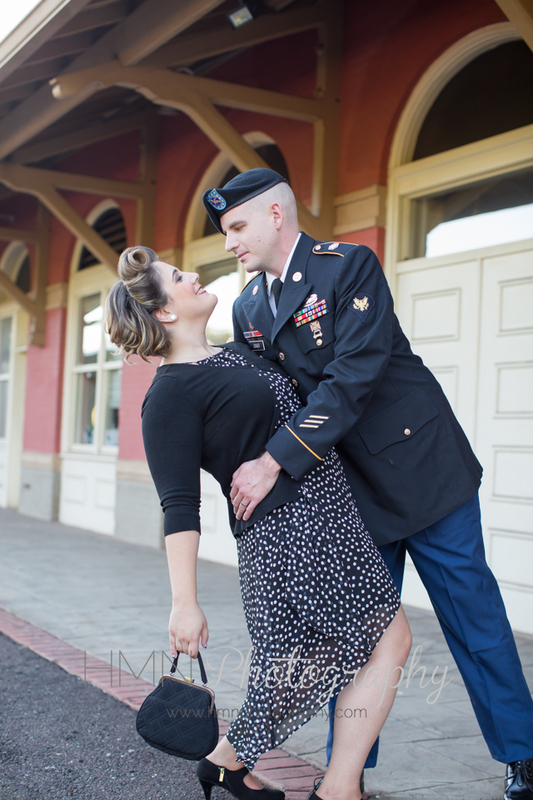 Cat was wanting to try out a unique styled session as an anniversary present, and I have been wanting to do a vintage military session! 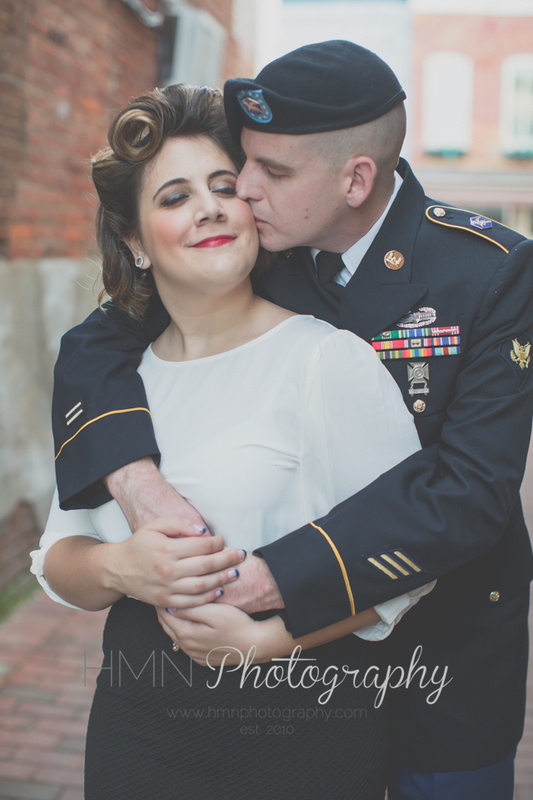 One of my stylists met up with Cat and did her hair and makeup and then we headed to Old Town Culpeper. 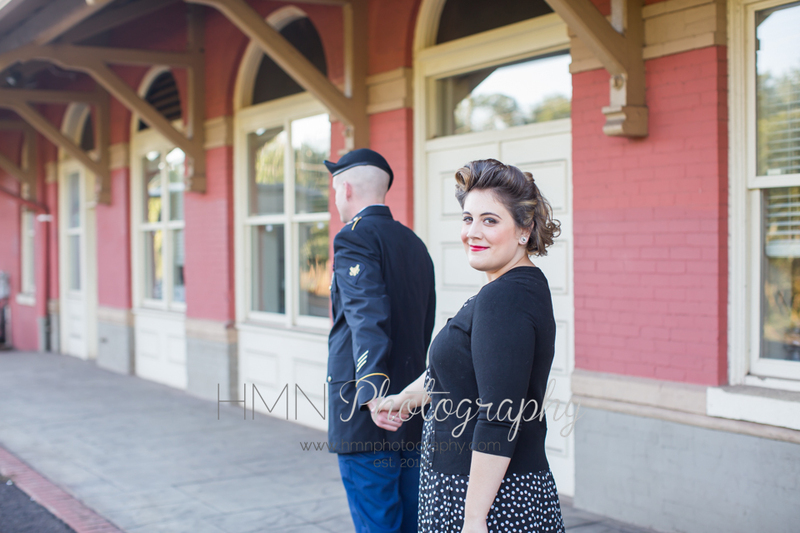 We tried to keep the vintage feel by using the train depot and the old Coca Cola wall on Davis St. Bo serves our Country in the Army. 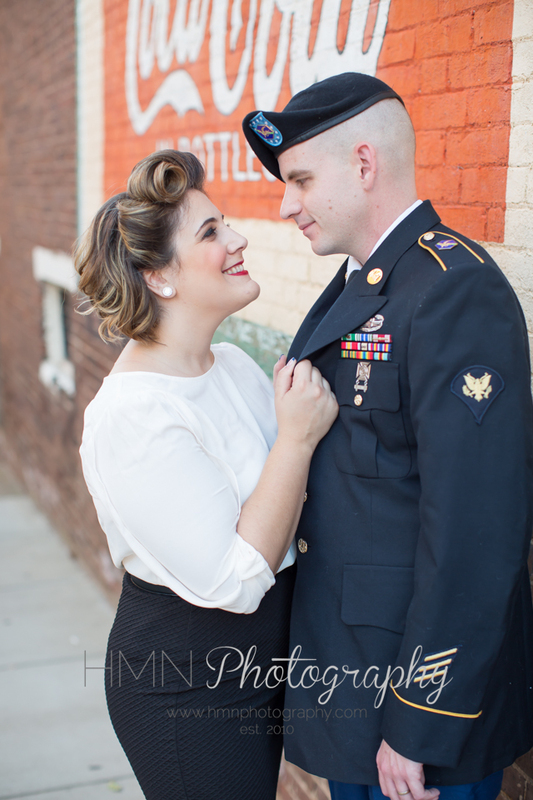 Thank you for your service Bo and Happy Anniversary! !